MADISON, Wis. – April 19, 2016 – Associated Bank recently announced the completion of a $6,700,000 Affordable Housing Construction and LIHTC bridge loan for Maple Grove Housing, LLC, for the construction of Maple Grove Commons at 3204-3228 Golden Copper Lane in Madison, Wis. Situated on 3.2 acres on the southwest side of Madison, Maple Grove Commons will include 80 one, two and three bedroom apartments, 68 of which will be rented to tenants at or below 60 percent of the median income for Dane County. The project, which is scheduled for completion next summer, will also include 80 underground parking stalls. The general contractor is McGann Construction of Madison. Knothe & Bruce were the design architects. The project was co-developed by Oakbrook Corporation and Movin’ Out, Inc. Founded in 1987, the Oakbrook Corporation offers a wide range of real estate services such as the management and development of new and redeveloped office, retail, residential and mixed-use properties in Wisconsin, Minnesota, Illinois and Colorado totaling over 8,300 apartments and 2.5 million square feet of commercial space. Movin’ Out is a Madison-based non-profit that provides a range of housing solutions for Wisconsin adults with disabilities and for families that include children with disabilities. According to Steve Sosnowski, senior vice president with Associated Bank’s commercial real estate division who coordinated the loan, the transaction came together through a unique collaboration. 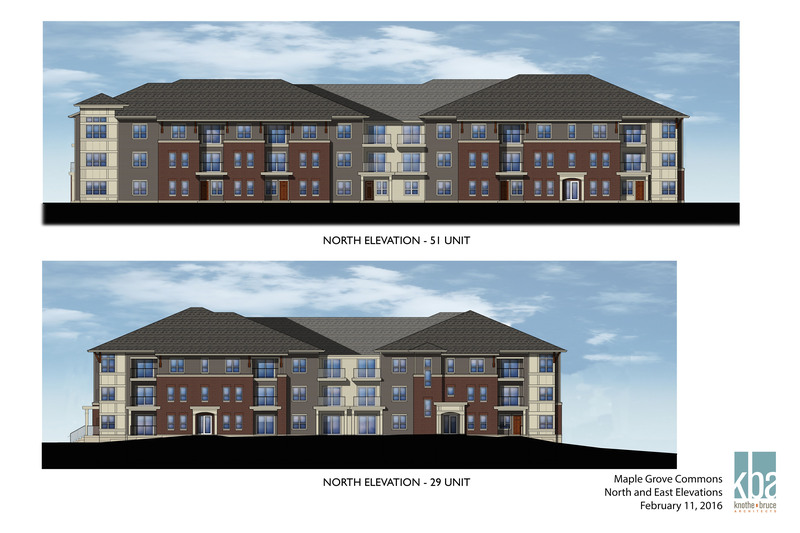 “Everyone involved was focused on the goal of supporting the community with affordable, high quality units on Madison’s southwest side,” said Sosnowski.